If you are sharing memes which are critical of your brothers and sisters in Christ…you might be seeking the approval of men. If you are willing to believe that your fellow members in the Body of Christ are hateful, bigoted, or ignorant on some popular issue…you might be seeking the approval of men. If you assume what evils are the motivations behind the convictions of your fellow church members, without seeing much evidence… you might be seeking the approval of men. If you are listening to voices in the unbelieving world for advice on how to judge other believers… you might be seeking the approval of men. If your desire for the approval of other human beings is so desperate that you are willing to condemn (yes, condemn) your fellow sharers in the forgiveness of Christ…you need to stop caring for the approval of people. And start caring more for the approval of God. Our fellowship, our real connection, is Jesus Christ. It is a stronger and more significant connection than any other that you will ever have. He is the one who holds us together and He will never fail. You have just demonstrated that if that relationship in Christ were to depend on you, it would now be dissolved. But He has brought us together by His pain, blood, and self-sacrifice. We should never dismiss or trample the priceless work He has done for the purpose of creating a fellowship in which He takes great joy. You are going to need those fellow believers in the days to come. Do you think that your agreement with the unbelieving world will gain their approval? You too will be rejected if you belong to Christ. It may be eventual or it may be soon, but it is inevitable. News Flash: People outside of the church by choice are going to put you in the same category as those other believers you are trying to distance yourselves from, and there’s nothing you can do about it. If I were still trying to please people, I would not be a servant of Christ. You have already chosen the counter-cultural, unpopular road in deciding to be identified with Jesus Christ. There is no hope of being among the accepted anymore. He was as cool, as kind, as loving, as perfect as anyone could possibly ever be…and they killed Him for it. Resign yourself to clashing with the world where it really hurts. Remember who you are. Remember your family. Remember Who He is. Remember who bought you, at what cost, and why. 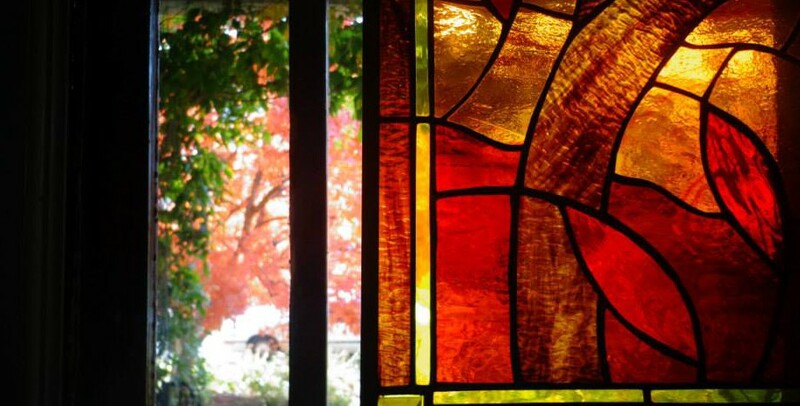 This entry was posted in Everyday Apologetics, Home, Passing the Torch, Relationship and tagged Christian church, church, Family on July 2, 2015 by madblog. At our house, we read A Christmas Carol every year as we approach Christmas Day. We also read Dickens’ short story A Christmas Tree and “A Good-Humored Christmas” from The Pickwick Papers, ending with “Gabriel Grub”, a story within a story, on Christmas Eve. It’s a full-on Dickens fest at our house in December. 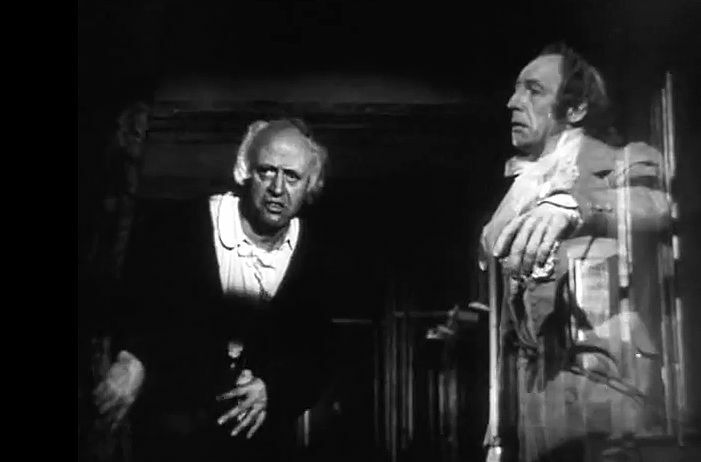 We also watch the 1951 Alistair Sim Christmas Carol on Christmas Eve. It’s one of my very favorite films. Jacob Marley’s newfound wisdom, tragically acquired after his life was over, was clearly not only that we ought to be kind to our fellow human beings, but that we must make good use of the time we are given. That clearly, the “Founder” of the celebration would have us use our powers in the service of our fellows’ needs. That our lives are wasted, useless, if we spend our efforts on ourselves. That we might do well to look at our lives from the end toward the beginning. Imagining hindsight from the end of my life might be very instructive. Nobody writes like Dickens. Merry Christmas! This entry was posted in Everyday Apologetics, Home and tagged A Christmas Carol, Alistair Sim, Christmas, Christmas Eve, Dickens, Family, literature, read aloud on December 19, 2014 by madblog.